Also, the movie poster tagline: "It's time...to fear." 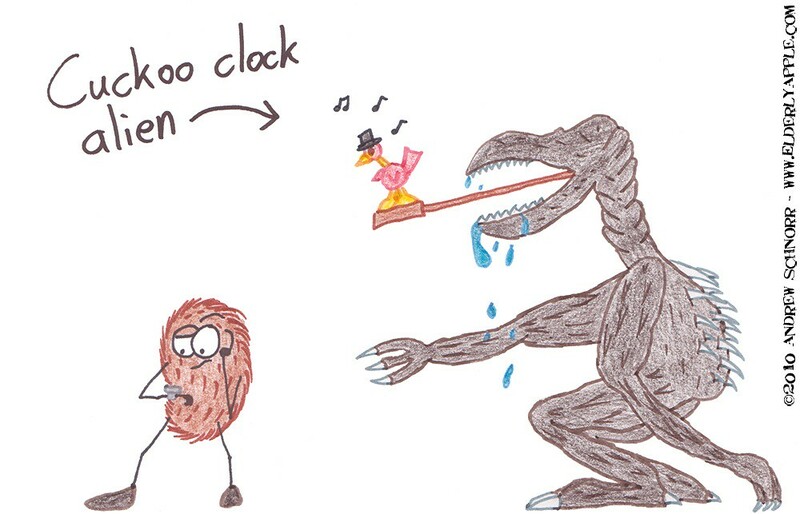 how the hell does that bird stay inside the alien's mouth? anyway, that's still a freaky alien!